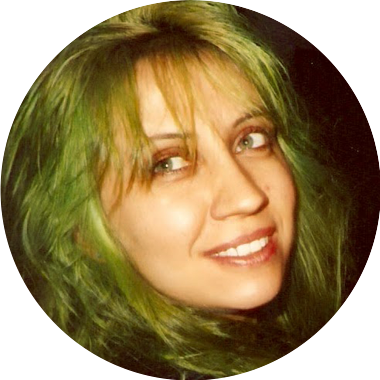 Growing Up Green : GET YOUR DANCING SHOES ON; WE ARE GOING TO A PARTY!! GET YOUR DANCING SHOES ON; WE ARE GOING TO A PARTY!! Sacred Reich was one of the first bands I seriously managed, starting in 1985. They were first released on Metal Blade Records and soon were advanced to Enigma Records, headed by the Hein brother..Wes and Bill. Sacred Reich sold quite a few records and soon all the labels were after them-Capital, Sire, etc, but the one that interested me was the new label Disney was making called Hollywood Records. 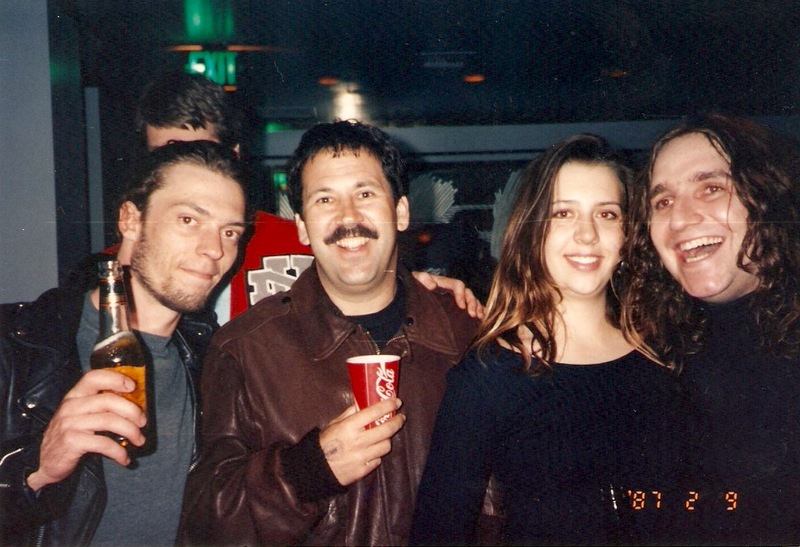 As I told you in earlier blogs, I hooked Sacred up with Metallica's lawyer. Peter Paterno took my call when I was just starting out and I worked with him on many projects. I respect and admire him greatly, and always was very impressed because he was so humble, honest, funny and real! One day, he told me he was resigning from law and going to head a label that Disney was creating. I walked into the label one day and took a 'Wish list" that I dreamt of and Peter approved it all! I even asked for Mickey watches for the guys and me and still have mine! One year or so later, another lawyer from Peter's law firm called me and told me he used my wish list for the Metallica contract he was working on. He thought it was funny, but I didn't particularly... But thats another story. One day, around the time Peter was leaving the law firm, and I was busy connecting with another lawyer, I received an invitation for a party in the mail. It was just for me, no guest. An address high in the hills outside LA from someone I didn't know. I asked Peter what was up and he said it was a private party that was being given for him by a friend. I got my courage up, bought a plane ticket, reserved a car, and flew to LAX. The car climbed up the hills to a fantastic neighborhood, overlooking the lights of the city. I felt like such a newbe going there....because I was! I can't recall the host's name but what a party it was! Who the heck should be there but Lars Ulrich with his wife, the original singer from Journey, Steve Perry, and some others from the law firm. 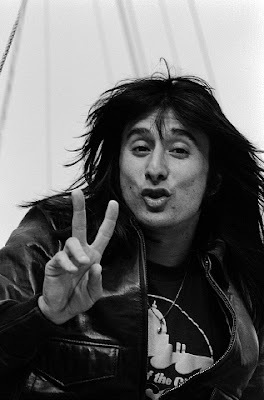 I was so excited inside to meet Lars and wow...Steve Perry just chilling too! There wasn't really a packed house and I admit I kept flicking my brain to make sure it was real, when who should walk in??? My new lawyer, the beautiful Michele Anthony, with none other than Bob Dylan! This was getting serious! 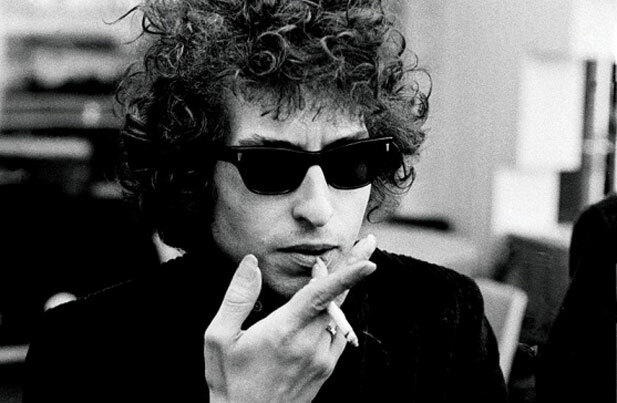 We were all whispered to not talk to Bob or drive him crazy and believe me, no one did! It was just a trip to see him, sitting on the couch chatting away with Michele! Now I knew I was really with the big dawgs! The evening zoomed past with good food, good talk and lots of laughter. I remember someone plugged the toilets and a plumber had to be called, but even that was cool, haha!! When I got back home and told Sacred and my kids, no one could believe it! I still feel awe when I think about that private party! FROM SYSTEM OF A DOWN TO SNOT TO SOULFLY AND BEYOND!!! THAT KID WILL NEVER AMOUNT TO ANYTHING!!!!! 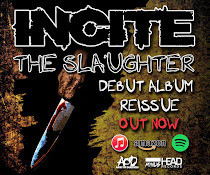 "LIVE YOUR LIFE, NOT THE WAY THEY TAUGHT YOU...DO WHAT YOU FEEL..."
INCITE - The Slaughter Re-Release! 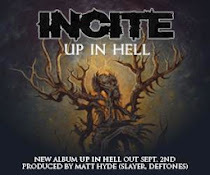 INCITE - Up In Hell !!! Incite - All Out War! PACK YOUR BAGS KIDS...WE ARE GOING TO EUROPE!!! HAPPY 22ND ANNIVERSARY TO MY BELOVED MAX!!! All Pictures and Content Copyright Gloria Cavalera 2016. Simple theme. Powered by Blogger.